We had a hunch that garbage on the playground was a problem at our school so we went out to find evidence. We discovered that it was indeed a problem! 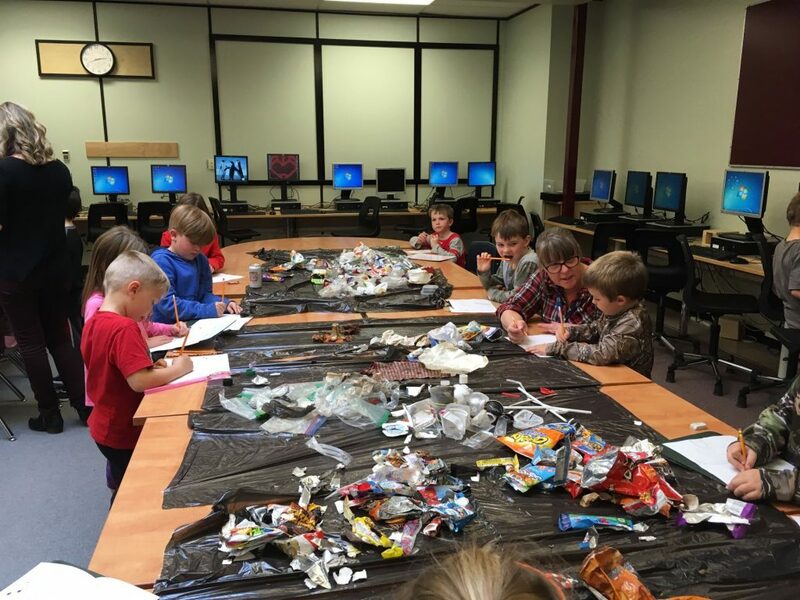 All the Grade 1 & ½ classes collected garbage from difference places on the school property. The evidence was very clear, most of the garbage was kid garbage! Now each of our classes are going to be learning about different aspects of garbage in our environment. We will be learning about the Great Garbage Patch in the Pacific Ocean. In two weeks we will sharing our learning with the other classes. We are hoping to come to a solution to our garbage problem at Sunset Elementary. I really admire the way you and your students noticed something about your environment and incorporated it into your curriculum! As a prospective teacher, it’s nice to see that teachers, like yourself, are fueling their curriculum with student-based inquiries or findings – I believe many meaningful experiences can be created from opportunities such as your class encountered. I would be interested to see if their activism in your classroom about student-produced garbage has made a difference in how they see garbage/waste/recycling in their personal lives (outside of the school setting). I also commend you, and your students, for doing something about the excessive garbage you noticed around your school – as students practice taking action in a school setting, those skills are then translated to their activism outside of the classroom, hopefully sticking with them as they grow into young adults and then members of our society. I would be interested to hear how your students shared their learning with other classes and whether or not you’ve come up with a solution to the excessive waste at your school!